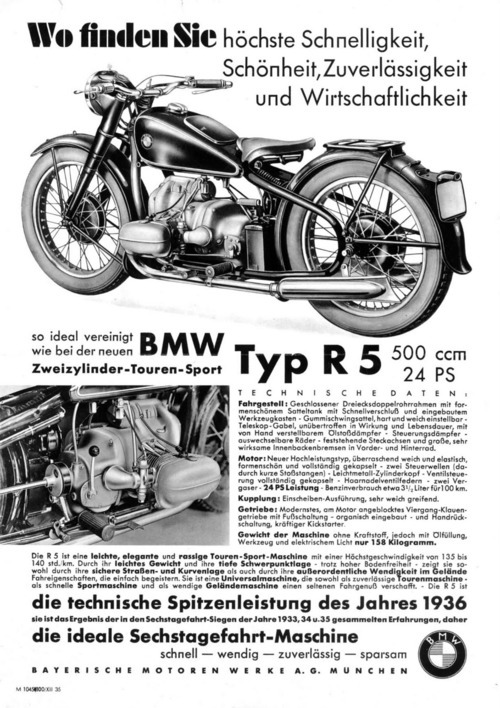 When Max Fritz first designed BMW’s flat-twin engine in 1921, BMW didn’t even make motorcycles. 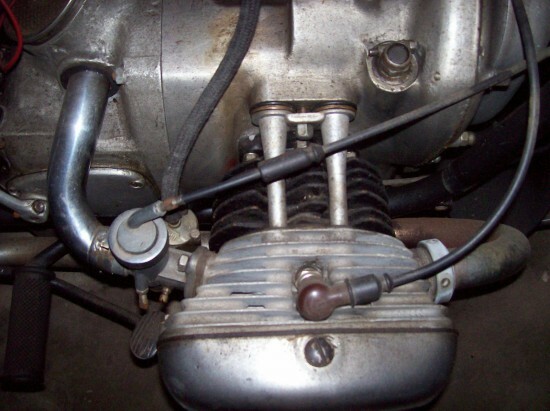 It wasn’t until 1923 that the first BMW engine rolled in its own BMW frame. 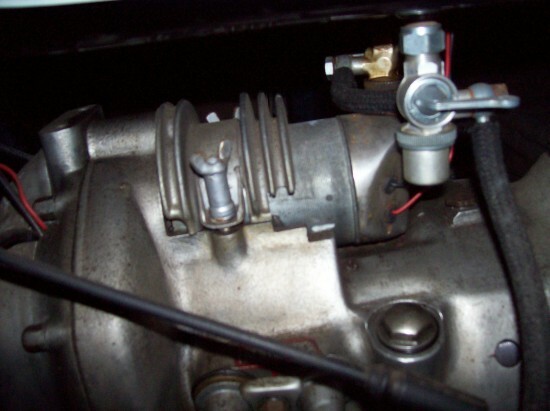 In 1935 BMW made a change, it was the year that they added a second cam; now the left cam took care of the left cylinder, and the right cam took care of the right cylinder. With this change, a sportier BMW was created, and they went racing to test the new bike, in the dirt, over six days. This 1937 BMW R5 is now available for you to live the history. 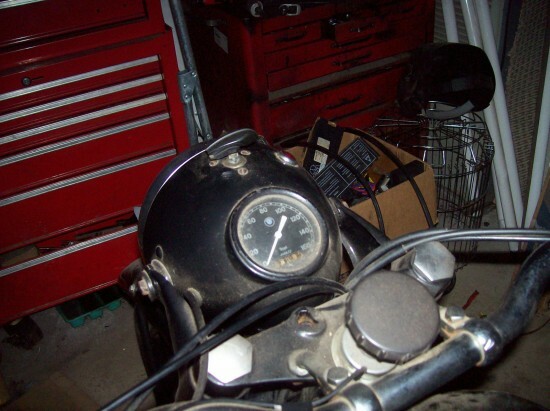 1937 BMW R5 frame#224420.Motor 196684 .Trans#113699.Cyl heads 504420 matching #.Speedo Viegel#376683.1.0 ratio Carbs #k37 waa3.Headlight lens DDR Ruhla EFA.Carco fuel taps.EFA horn #8416.2/2. Finned generator cover. Incorrect rear fender looks very corrct.MTR redone .Imported frome Hungary 20 plus years ago First time offerd ror sale in the USA.older rest. needs a little TLC .Not ran in awhile. 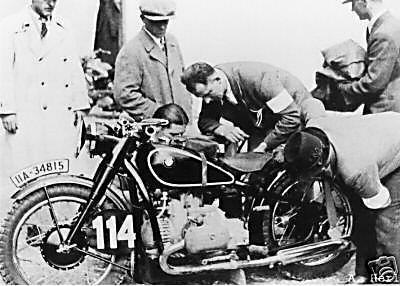 The R5 first hit the road at the 1935 ISDT races in Germany. The factory team took the new engine in a new welded oval and conical tube steel frame. Previous BMW had been cradled by Art Deco pressed sheet metal frames. Though the rear end was still rigid, the front end had adjustable, oil dampened telescopic front forks. On a historical fun fact level, the R5 received a plunger rear suspension in 1937 for the factor race bikes. 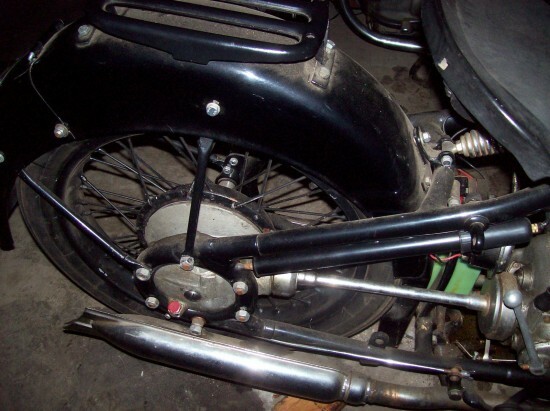 The same rear suspension would not show up in a production bike until 1952. Pretty sure factory motor numbers for this model were stamped on the right side of the engine block just above where the pushrod tubes go in. Interesting bike, but hard to say how much is really BMW.